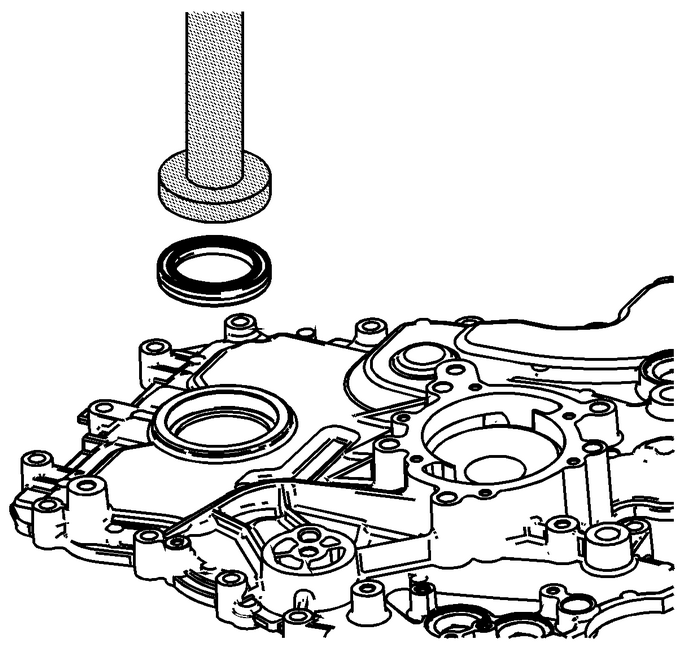 Important:Do not lubricate the crankshaft front oil seal or crankshaftbalancer sealing surfaces. 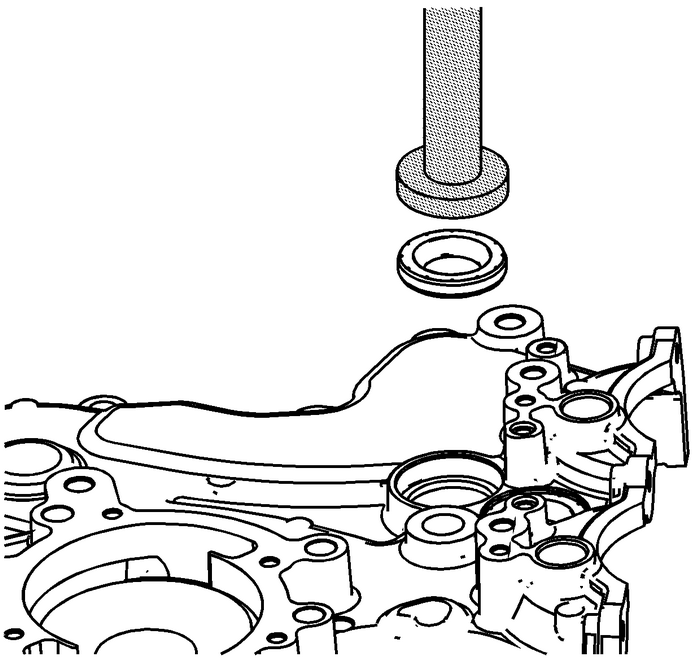 The crankshaft balancer is installedinto a dry seal. Install the NEW crankshaft front oil seal into the enginefront cover using theEN 29184installer. 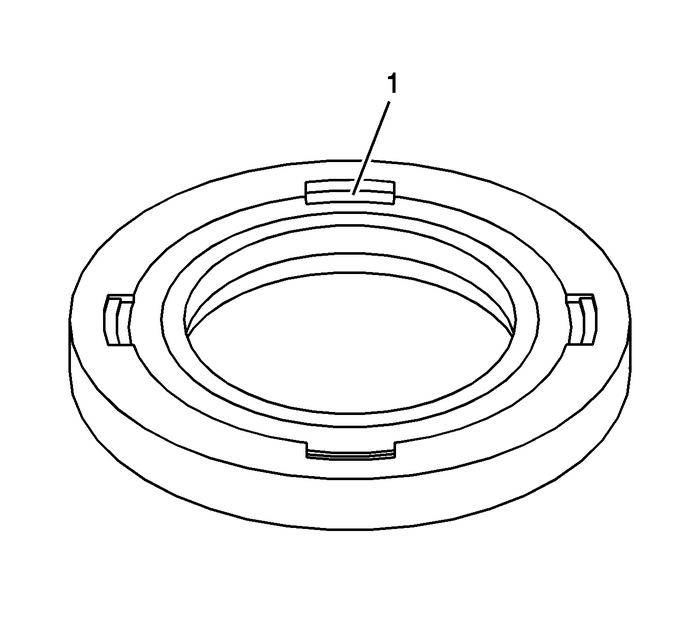 Place the seal into position with the notches-(1)in the seal down. The notches-(1) will face inboard whenproperly installed. Install the NEW camshaft position actuator valve oil sealsinto the engine front cover using theEN 46103installer.